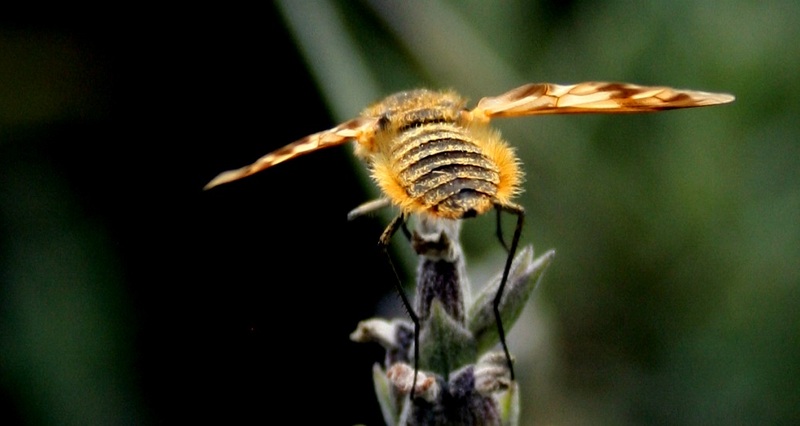 It is a member of the bee fly family – Bombyliidae. Photographed this afternoon on the lavender. Previous Ready Steady …. Grow! Well, thank you very kindly, Ms Sally! So, you now have a Villa. Vere dere is a villa dere bee away. Therefore, he bee gone. Shame. One cabbage white. That’s not good. Down here the annual Meadow White migration has begun.They fly up from down south, through the Karoo up through Gauteng, including Jo’burg. Then they head further north before turning right and make for Mozambique. Today the garden was awash with butterflies. It is quite something and it will continue for a week or so. Lets be havin’ some photies then. I took a few today. I will post tomorrow. Maybe get some better ones. It’s funny to see the hens belting across the garden after the butterflies. I’ve got a few lavender plants at the front of the property and the butterflies park off for a pit stop. I noticed four Preying Mantis lying in wait! Was just telling Argus the annual Meadow White migration arrived at our spot today. Read my reply to him. The Villa fly is kinda cute. 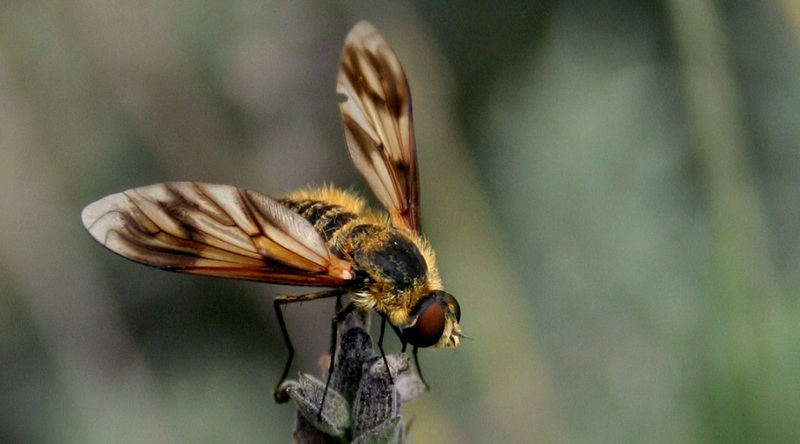 It’s not at all like the mean, nasty, venomous, and unsightly Vella fly – lol! Don’t be so hard on yourself, Bob. I’m sure there are plenty of people who think you are kinda cute, as well. They probably all live somewhere near Rigel, but that’s just a technicality. As far as I know, it is quite harmless. Particularly like the first photo, excellent detail!